One of the greatest aspects of physique sports, is the ability to be able to participate in them well into the later decades of life. At the age where most traditional sports stop, one’s performance in bodybuilding is still peaking. 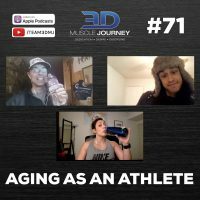 In today’s episode, Andrea, Alberto, and Brad discuss how things have changed in their athletic journey as they’ve gotten older. The group touch on physiological changes affecting recovery and performance, as well as the things they do to help combat these unavoidable changes in-order to stay healthy. While training and eating to support your athletic goals obviously improves your physique, these same habits also bring with them better health, creativity, stress-management, and a better overall quality of life. Whether you have goals of stepping on stage or not, one thing is for certain: training and being active even a little bit, will significantly improve other areas of your life. If you are someone who trains and is approaching your forth, five or six decade of life, or you know someone who is that you think would benefit from regular lifting, give this episode a listen for some helpful tips and potential selling-points. Hi I’m just listening to this podcast right now, and have been really enjoying all of the podcasts right now. I’m 27 right now and am only just starting to train smart. Before I was more of a yolo whether it was boxing or dance competitions. I was just wondering if you think that through hard work and dedication I could still achieve a lot of great success. It sometimes seems like the greats start training smart at 16 or 17 years old. Thanks for everything. Hi there, Patrick! Thanks so much for listening! And it is DEFINITELY possible to start and make great progress at your age. 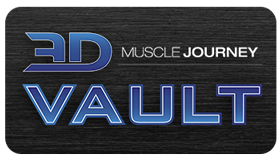 I’ve seen people do complete physique overhauls for the stage as late as in their 50’s. Coach Brad didn’t start training until he was in his early 30’s (intelligently in his mid 30’s) and has managed to become a professional bodybuilder and incredibly successful powerlifter at the national level. Because of your background in boxing and dance, I bet you have more of a leg-up on most people your age as well. Having ANY athletic background tends to be quite useful when it comes to gaining muscle and strength later on in life.